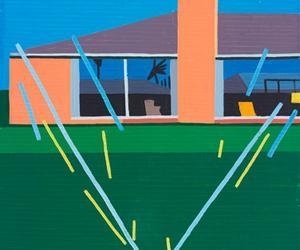 Guy Yanai‘s 2015 work highlights his creative evolution and newfound confidence as an artist. The Israeli born painter currently lives and works in Tel Aviv, and the colorful palate of his surroundings as well as the vibrant, live-life-in-the-moment energy of his city shines through in his pieces. His new body of work differs from that of prior collections in that it’s more “open source”: what you see is what you get. The paint appears almost pixelated because every brush stroke is visible to the viewer – making his process completely transparent. This collection also, more clearly than ever, showcases an important theme for Yanai: one of cognitive dissonance. Yanai puts forth a paradox; work that represents both his cerebral state of hyper-consciousness and his subconscious emotional motives. Since graduating Parsons School of Design and the New York Studio School Yanai has exhibited in cities like Paris, Copenhagen, New York, Tel Aviv, Boston, Milan, and others. 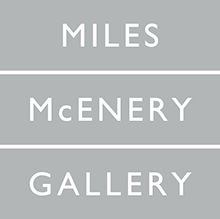 His upcoming solo exhibition at the Ameringer McEnery Yohe Gallery in NYC will open July 9 and run through August 2015. Recent solo exhibitions include Diary, at Galerie Derouillon, Paris; First Battle Lived Accident, at Alon Segev Gallery, Tel-Aviv; Accident Nothing at Aran Cravey Gallery, Los Angeles; Battle Therapy Living Room at the Velan Center for Contemporary Art, Turin; and Lived & Laughed & Loved & Left at La Montagne Gallery, Boston.